How do you take your favorite Italian pasta dish and make it not-so-heavy for those hot summer nights? You make APWU’s Cacio e Pepe Charred Corn of course! Preheat your grill to medium-high. Cut ears of corn in thirds. Melt the butter and baste each ear using a silicone basting brush. Lightly salt each piece. 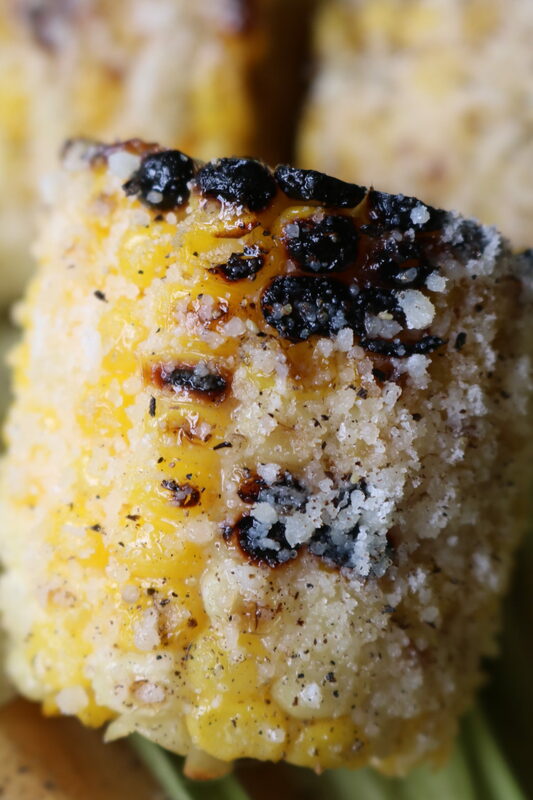 Grill corn fire 9-10 minutes until tender and slightly charred. Add the lemon juice to the remaining butter and stir until combined. 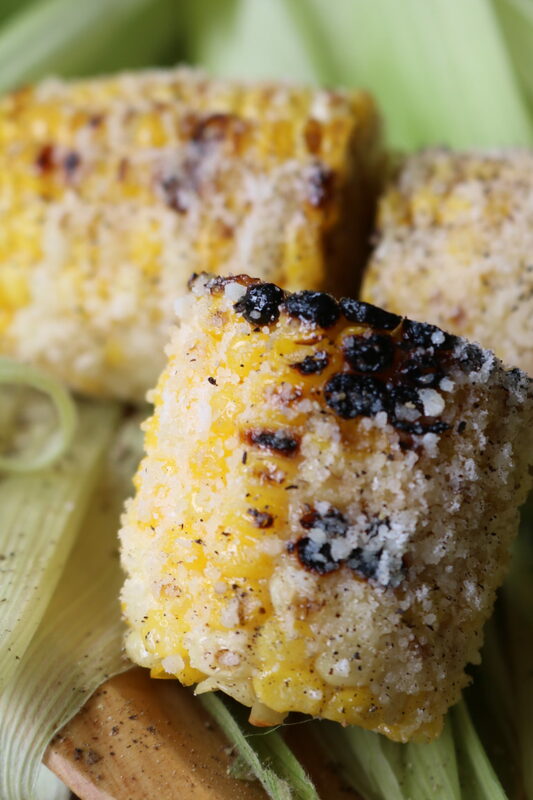 Remove corn from the grill and baste with lemon butter. 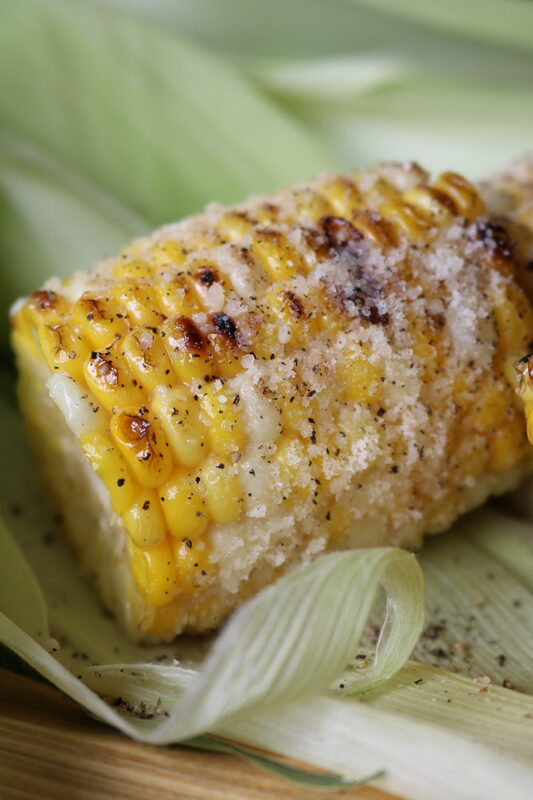 Coat the corn in Parmesan cheese and generously season with pepper. Serve immediately. Enjoy!